At Three Graces, we are the pioneers in providing time tested & age-defying treatments that restore everlasting youth and skin radiance. By using only the latest US FDA approved technology and performing clinically-proven and safe treatment procedures in luxurious and soothing ambiance, we have earned the trust of over 30,000 clients worldwide. Each treatment offered at Three Graces is supervised by India’s leading cosmetic dermatologists and aesthetic practitioners knowledgeable in providing world-class solution for a broad range of medical and aesthetic skin and hair concerns. One of the world’s finest medical facial procedures, this treatment is a red-carpet favorite abroad and was brought to India from the US for the first time by Three Graces. A non-invasive and immediately effective anti-aging procedure, the HydraFacial cleanses, exfoliates, hydrates, renews, and does all round-care of your skin. Each session is customized using the original US HydraFacial serums and creams topped with light therapy to improve the suppleness of the skin, diminishes hyperpigmentation, brown spots, and improves acne. 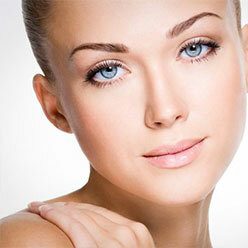 Due to our in-depth understanding and experience we are considered as the world’s leading HydraFacial provider. The MesoMagic Facial combines US expertise in diamond skin abrasion with the finest Spanish treatment serums. Each session is customized depending on the skin’s needs and serums are infused using French no-needle Mesotherapy technique. The electroporation Meso device helps open the cellular channels for transdermal passage of products to the target areas deep inside the skin for better efficacy. Ending with a luxe mask, this treatment leaves you with a glowing skin that’s visibly healthier and well hydrated. Enzyme peels contain medical strength extracts from natural sources such as milk and sugarcane which exfoliate dead cells from the skin to improve skin tone, texture, pigmentation, and fine lines on the face as well as body. To ensure quicker results with minimal or no recovery time, we use the custom combinations of the latest gel peels. 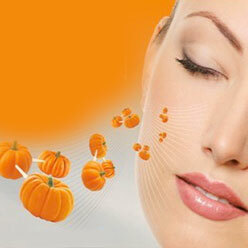 Suitable for all skin types, Pumpkin Peel Facial is a luxurious treatment that uses the renowned Theraderm range of professional products and combines the benefits of salicyclic acid, beta-carotene, and concentrated antioxidants & vitamins A and C. This medical facial transdermally infuses enzymes, nutrients, and vitamins into the skin using no needle Mesotherapy, followed by a skin repairing and tightening collagen – sea weed mask, for immediate visible glow. The treatment deeply nourishes, rejuvenates, exfoliates and moisturizes the skin and improves the tone and texture leaving you with an incredibly smooth, clean, and glowing skin. Our unflinching commitment to deliver tangible results and maintenance of the highest quality standards have earned us patronage and references from our clients for skincare and aesthetics. Address the impending and visible signs of aging with our USFDA approved US manufactured world class radiofrequency Thermage treatment for the best non surgical face and body lift, without any needles or down time. Thermage can take away 5 years from your face, smoothen and tighten your skin, and redefine contours by building and repairing collagen thereby, giving you an overall naturally younger –looking appearance in a single two hour session. Results are visible immediately and improve over time, lasting for upto 18 months. We have constantly upgraded our technology and skill set since introducing the technology in India for the first time. We currently use of the latest version of Thermage CPT (Comfort Pulse Technology) with the powerful Total tip, to ensure the safest, most effective, long-lasting, and the most comfortable treatment. Thermage is effective on the face and body: for anti-aging, double chin, crepey hands & feet, love handles, loose abdominal skin especially post pregnancy, thigh and buttock lifting, contouring, bulges & wrinkly knees. With the most sophisticated delivery of safe RF energy, this treatment can help prevent ageing and helps chisel the lower face in young people in their twenties and thirties. In older persons Exilis Elite works as a non-surgical face and neck lift, that also eliminates fine lines and crepiness on the décolletage, neck, hands and feet with immediate results and visible improvement in the weeks following the treatment. This USFDA approved European treatment is popular worldwide and was introduced in India at our clinic. The treatment is extremely comfortable and feels like a warm massage. Regen XL is an advanced 3rd generation aesthetic solution from Pollogen’s Tripollar menu which delivers immediate and long-term anti-aging results. Regen XL tightens skin, improves facial contours, and reduces the appearance of fine lines. It is a clinically-proven and painless surgery alternative for collagen regeneration that suits all age groups and skin types. 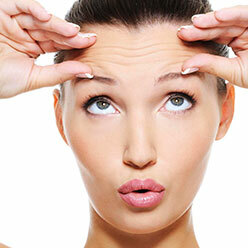 We are also experts at providing Cosmelan and Dermamelan masks for pigmentation & Mesotherapy for Rejuvenation. Through our Skin Resurfacing treatments, we improve scars, open pores, stretch marks & keloids to restore the skin smoothness and glowing skin and also eliminate shadows and fine lines which add years to your appearance. This treatment improves the overall skin quality and tone by introducing Hyaluronic Acid into it which is known for boosting moisture and cellular regeneration. Besides treating acne-scarred skin and fine lines, Hydratightening also improves the texture of the face, neck, hands, and décolletage. Results are visible immediately and last for upto one year. The Ematrix Sublative RF treatment is a one-of-a-kind USFDA approved technology that uses fractionated bi-polar radiofrequency to effectively treat scars – including acne scars – stretch marks and wrinkles, with minimal side effects, discomfort or downtime. Sublative technology is safe in all skin types, unlike laser and light based treatments which may cause side effects in pigmented & darker skin types. Derma Roller microneedling induces reorganization and neosynthesis of skin collagen to gradually improve scars, pits, stretch marks & open pores. A numbing cream is applied on the skin before the procedure to ensure your comfort. Combining our in-depth knowledge of skin anatomy and US FDA approved specialized techniques we help boost your skin’s ability for self healing and rejuvenation ability, to help you stay forever young. We use the gold standard wrinkle relaxed USFDA approved and US manufactured Botox Cosmetic marketed by Allergan. Our experienced and trained cosmetic dermatologists use Botox for eliminating lines, wrinkles and open pores on the face (frown, forehead, crow’s feet, lines around the eyes and mouth) as well as facial contouring and jawline reshaping in ten minutes without surgery. We also treat excessive sweating using Botox to give you a sweat free odour free existence for six months after a single session. Injectable dermal fillers can effectively correct lines, wrinkles, sagginess, hollows, shadows, volume loss, and signs of aging. They help restore skin contour and texture, by hydrating skin from within through Hyaluronic Acid, a molecule that naturally occurs in skin and gets depleted with age. We use the latest non-surgical 9 Point Liquid Facelift technique and use USFDA and CE approved products: dermal filler products such as the Juvederm range: Voluma, Ultra Plus, Ultra and Refine; Restylane and Perlane; Mesolis and Yvoire. This process improves collagen regeneration and tightens skin to highlight and enhance your best features. At Three Graces, we use the world’s finest USFDA approved diode technology with proven safety and efficacy in all skin and hair types for quick, virtually painless and permanentlaser hair reduction from the face and body for both men and women. Each session is supervised by our cosmetic dermatologists and administered by our team of experienced therapists, thus ensuring results even for stubborn growth, ingrown hair and individuals with hormonal imbalance and PCOD. At Three Graces with our systematic and scientific treatments & cutting edge technology we have helped over 10,000 clients enjoy smooth, hair-free skin over the last 8 years, with. A state-of-the-art USFDA approved combination of diode laser and vacuum-assist technology, Light Sheer Duet by Lumenis allows rapid and comfortable hair removal from large body areas. 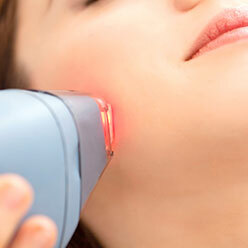 Covered in reflective gold surface that recycles any photons bouncing off the skin, the Light Sheer Duet uses gentle suction for pulling the hair follicle close to the laser. The machine’s patented epidermal-cooling system, the ChillTip, protects the skin by cooling it when the laser is being delivered. Alma’s world classUSFDA approved technology, Soprano Pro, with SHR technology, uses gold standard 810 nm laser diode for quick, effective, permanent and virtually painless removal of hair from the face and body including the most stubborn and treatment resistant areas in men and women. Book an appointment with Three Graces now to revitalize your beauty. Why Cosmetic Dermatology at Three Graces? Three Graces has led the anti-aging revolution in India for the last seven years and our offerings compare with the best clinics worldwide. We are pioneers in non-surgical rejuvenation, having been the first in India to introduce Thermage, Fraxel, Exilis and Hydra Facial MD, among other devices, at our flagship clinic in upmarket Vasant Vihar. We have the finest team of specialist doctors and experienced therapists who constantly update their training and skill set to give you the best treatments & results. 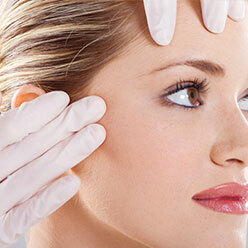 At Three Graces we use only US FDA approved treatments and devices which have proven safety and efficacy. All treatments are supervised and performed by qualified dermatologists and trained therapists. Our team is well versed with treating various age groups and skin types, in the best suited manner. I want to age naturally. 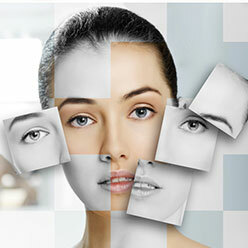 Why cosmetic dermatology? With age, our skin loses moisture, collagen & fat, giving us a tired or angry appearance. Cosmetic dermatology can help slow down or reverse these changes. Our world class non-invasive therapies are designed to help you achieve the best version of you & to look fresh, by retaining your natural look. Will these treatments make me look different? Our philosophy at Three Graces is to offer subtle, age appropriate solutions to maximize your beauty and highlight your best features. Our signature non-invasive face lift by Thermage CPT, gives you a refreshed youthful look in a single session, with zero downtime. It is subtle enough to keep people guessing and powerful enough to reverse your skin age by five years. Exilis, Botox, Fillers and our anti-ageing facials are all performed with the same belief in “less is more” to give natural looking results. Our treatments are designed to be comfortable and effective. We take all measures to ensure a painless experience – using the most patient friendly devices with anesthetic creams & pain reducing measures. We offer the world’s finest technology under one roof at competitive prices in a luxurious and comfortable environment, making us a preferred destination among locals, NRIs, expats and travelers. Why am I getting acne, I’m no teenager? Late onset acne is a common problem given rampant stress and hormonal imbalance. Our doctors can help treat this with a combination of topical and oral medication with treatments. What can I do about the scars and dark spots acne leaves behind? We have effective treatments for acne scars which build collagen to give long lasting improvement. Dark spots can be rapidly faded with our medical facials & enzyme peels along with prescription medication. I have stubborn pigmentation on my face. Can you help? Deep and superficial pigmentation needs to be targeted at the appropriate level. We offer a tailor made treatment plan for each patient combining a multitude of solutions – including the world’s finest peels, energy based devices, Nano Peel, Cosmelan mask & skin brightening medication to treat pigmentation. I have stretch marks on my body. Stretch marks occur due to undue stretching of skin which damages collagen. This can occur during growth spurts, rapid weight loss/gain, pregnancy and metabolic disorders. The Ematrix Sublative RF is an advanced treatment which rapidly fades stretch marks, wrinkles scars, to give a smoother appearance.